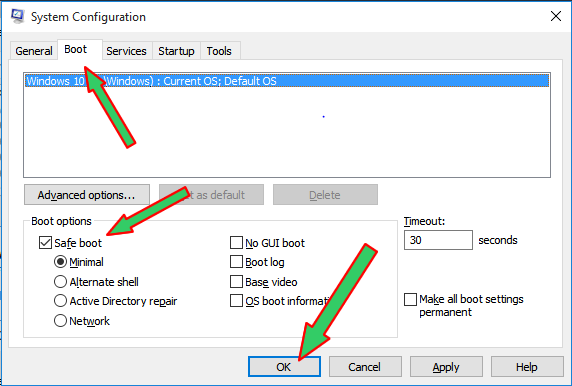 Previously, pressing F8 during boot-up time immediately after the bios have finished loading and is about to load Windows will give us the option to load Windows into Safe Mode, or into other mode as you so desire. 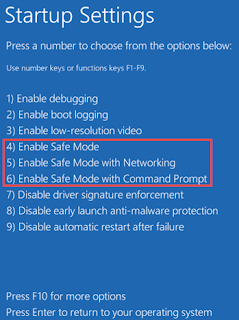 But with Windows8.1 and Windows10, the transition is pretty fast especially if you are using a modern PC with a UEFI BIOS and a fast SSD drive, so there is really not enough time to detect keystrokes like F8 which is to interrupt the boot procedure, thus pressing the F8 button is no longer the means to boost Windows8.1 and 10 into safe mode. 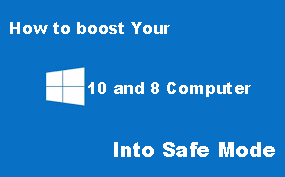 Below are the proven ways to start/boot Windows8.1 and Window10 PC in safe mode. Use Windows +I on your keyboard to open the Settings app. 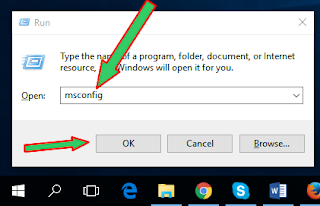 If it does not work, then using your mouse, click on the Start button (which is the first button in the left section of the Windows taskbar) and then select Settings, as shown in the image below. Next select Update & Security from the Settings app screen. 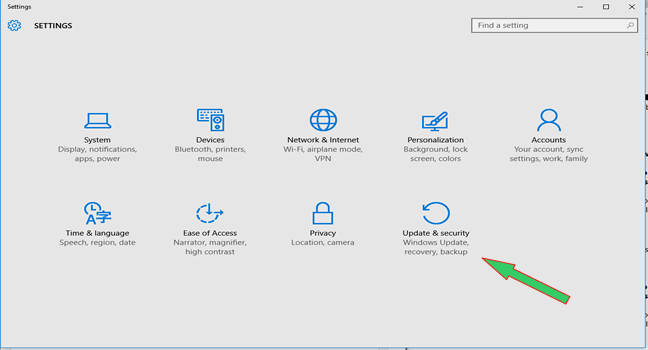 In the UPDATE & SECURITY screen, select Recovery from the left navigation options, and under the Advanced startup section, select Restart now. After you have, your PC will attempt to reboot but before reboot it will take you to Choose an option screen. 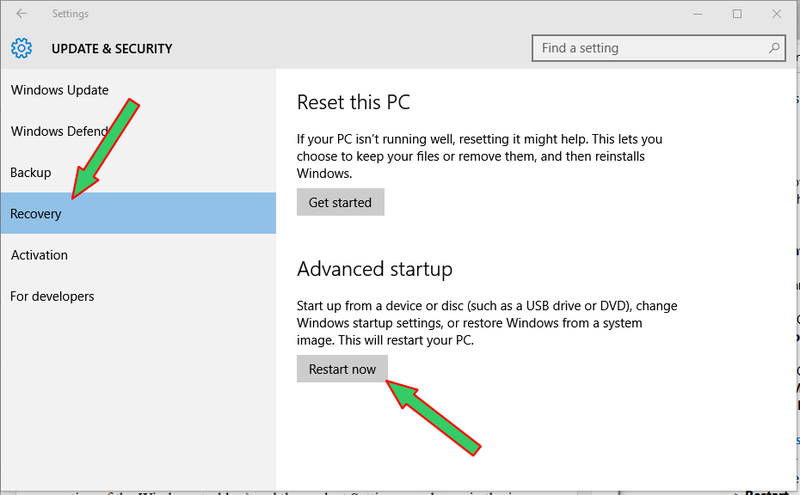 Select Troubleshoot > Advanced options > Startup Settings > Restart from there respective options screen. 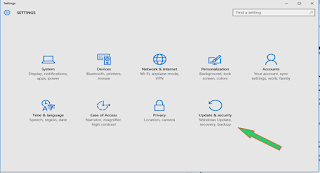 Now your PC will restart, but before it will load Windows, it will take you to the advance boot option screen, similar to the one in the image below. From that screen, select option 4 or press F4 to start your computer in Safe Mode. 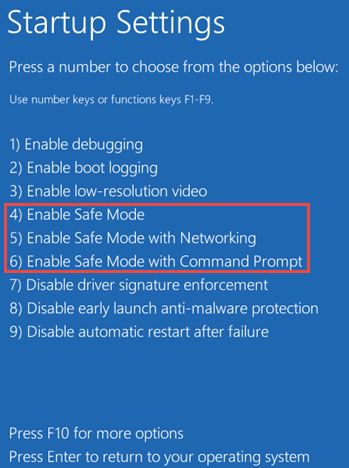 Or select 5 or press F5 to start your PC in Safe Mode with Networking. 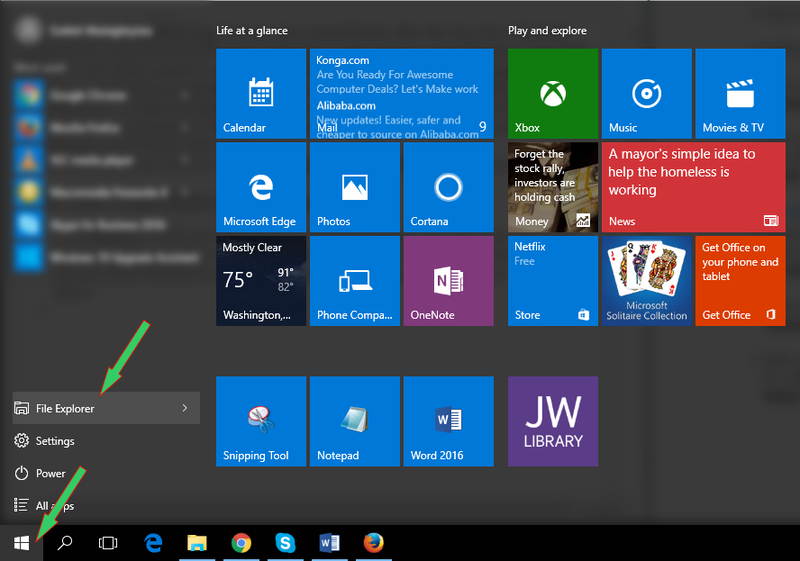 To open the Windows System Configuration tool, simultaneously press the Windows +R keys on your keyboard. Type-in Msconfig into the Open filed of the Run tool, and click the OK button. 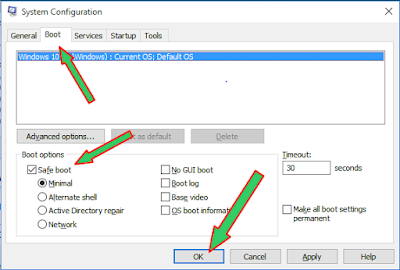 In the System Configuration confirmation screen, click the Restart button to reboot your PC automatically into Safe Mode or into Safe Mode with Networking, as you have selected. Those are basically the two proven way you can use to boot your Windows10, 8 or 8.1 into safe mode. If you have another option. Please let us know through the comment box and we will update this guide.